Theme park ride photos are a great way for amusement parks to earn more money from their visitors. Although a bit pricey, these photos make a good souvenir option — and they also make a great avenue for people to express themselves a bit more differently. 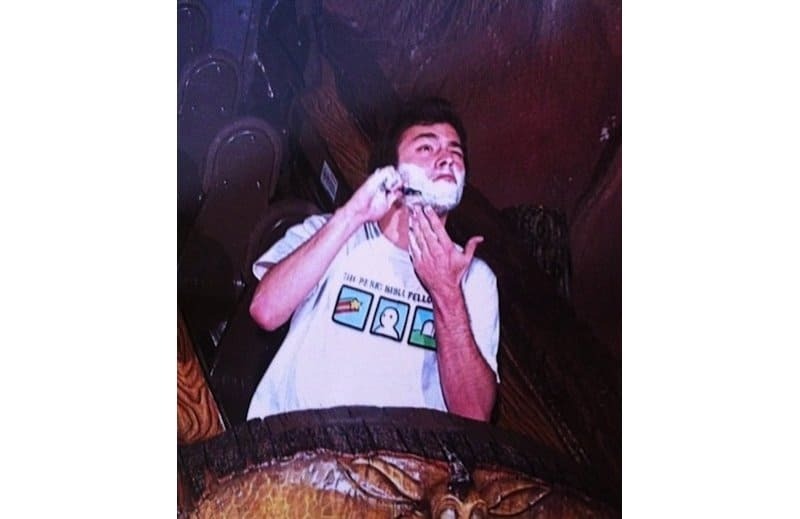 For example, Disney World’s Splash Mountain has received some bad reputation since a lot of women flash their breasts to the camera — earning the appropriate nickname ‘Flash Mountain. 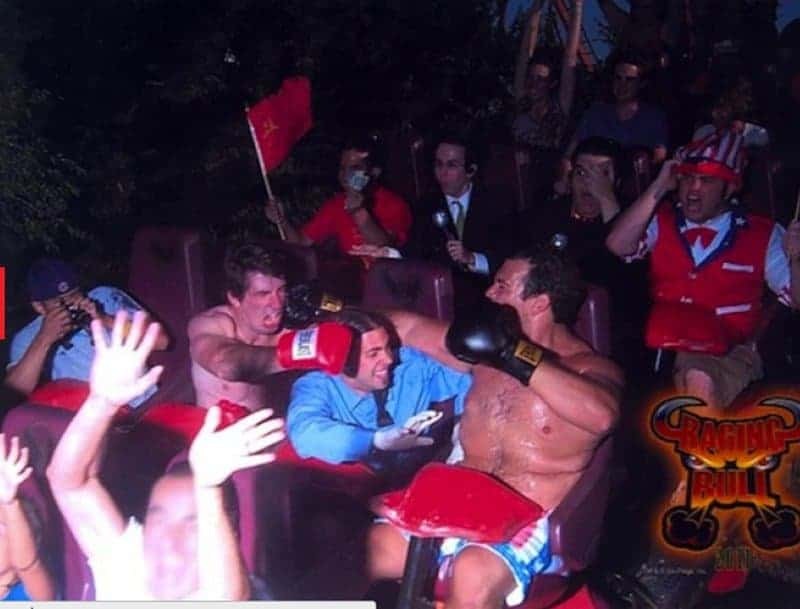 Still, these theme park photos provide a great opportunity for pranksters to have elaborately staged photos that are funny, ridiculous or just plain silly. 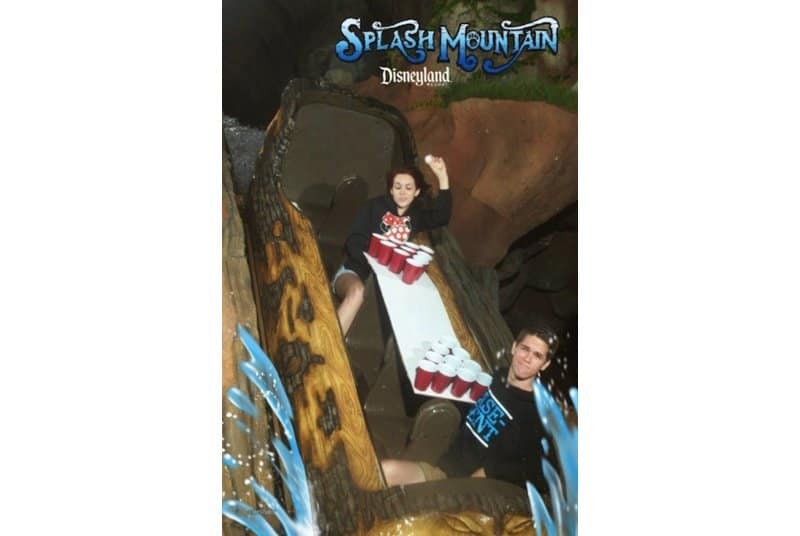 Here are 10 of the funniest and most creative theme park ride photos we’ve seen so far. 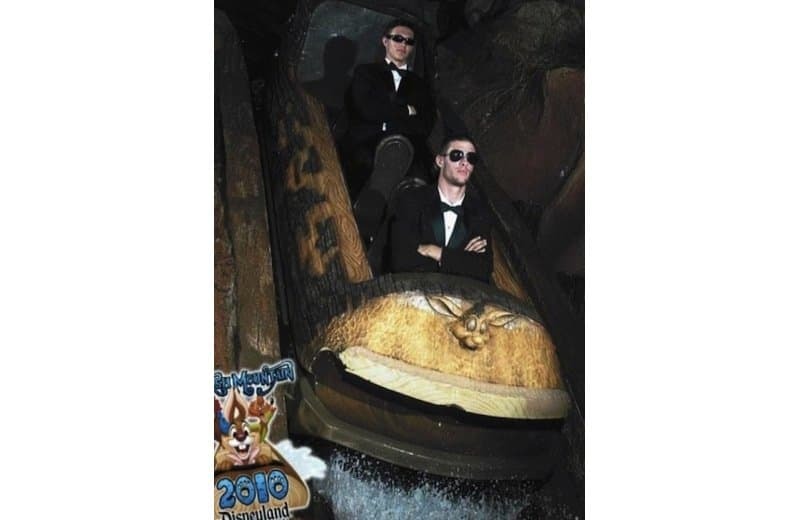 This chess photo in the ride is a popular favorite among pranksters, where they glue chess pieces in order to play the game during the amusement park ride. 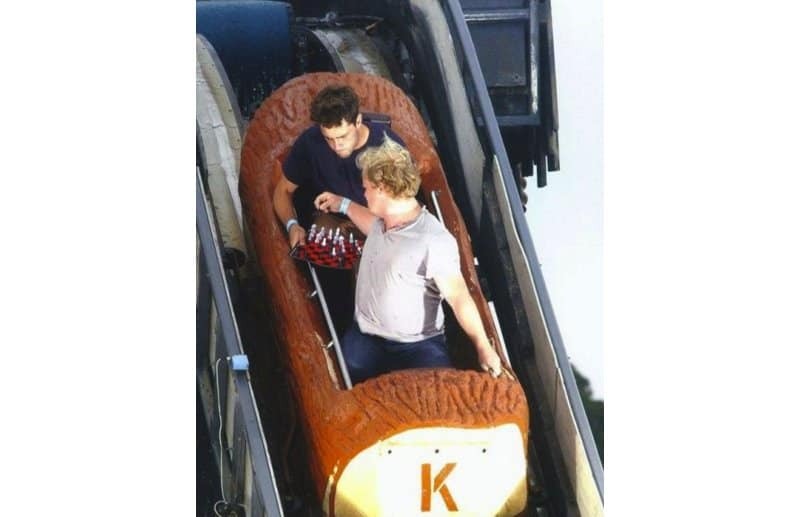 We’re just not too sure how they managed to get the chess board onto the ride in the first place. 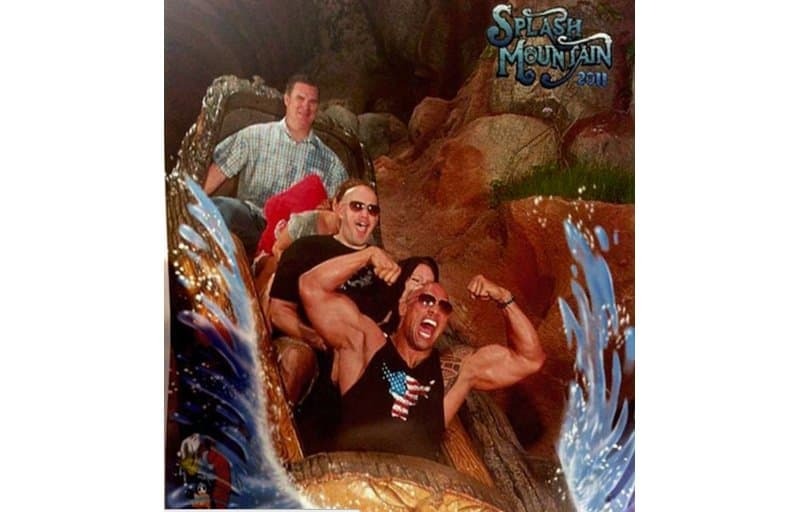 This photo is awesome because it’s The Rock and his biceps. In Splash Mountain. Need we say more? Either these guys are trying to covertly follow their suspect who just went on the ride, or they’re having a day off. 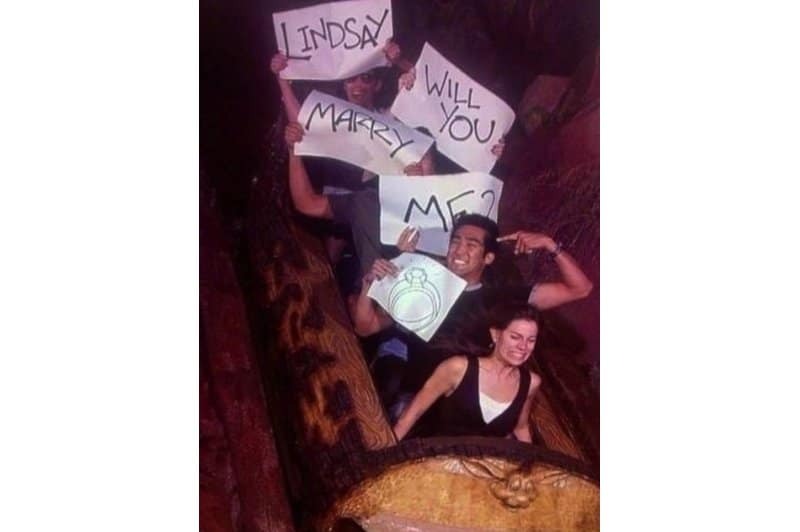 Lindsay is seemingly unaware that her boyfriend and friends are making a proposal amidst the ride. Awww, how sweet, let’s just hope she bought the picture so she knew what they were saying. This one is probably a bit dangerous, when you have a blade so close your neck in a fast-paced ride… But hey, let’s let the contenders for the Darwin Award pick themselves. This very elaborate park ride photo can only be pulled off once. We’re just wondering who won. 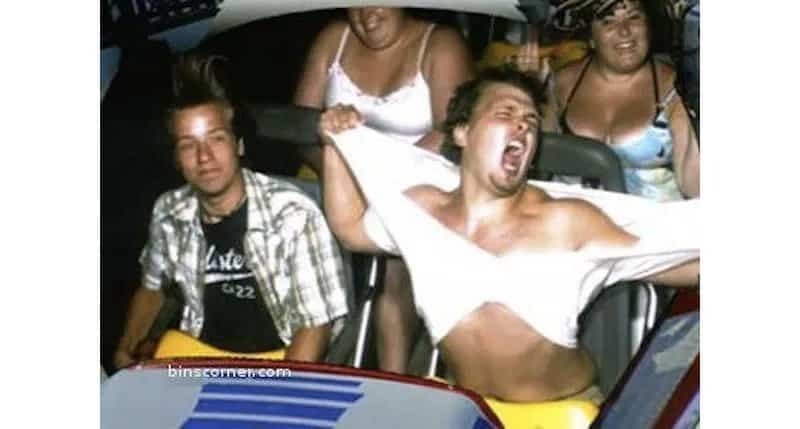 Have you ever felt so psyched about the ride that you feel like ripping your shirt off? This guy certainly did! 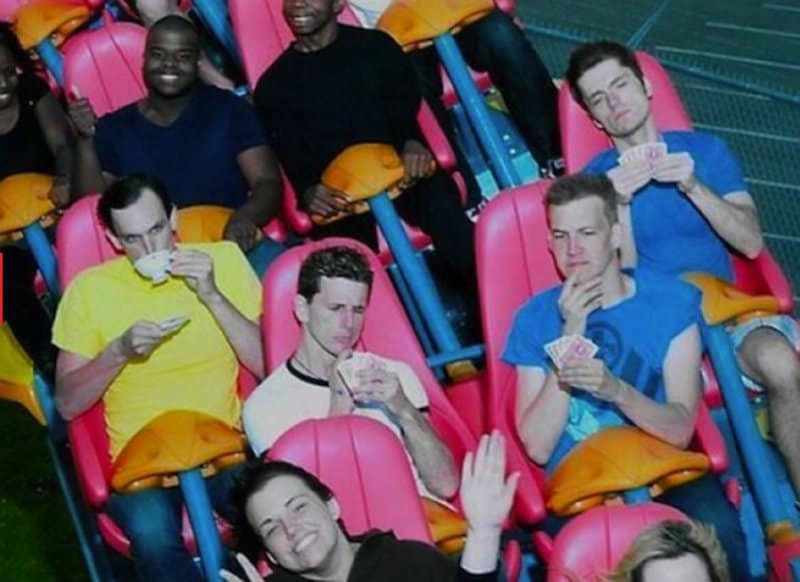 We’re not sure which is funnier — the guys playing cards, or the guy drinking tea? 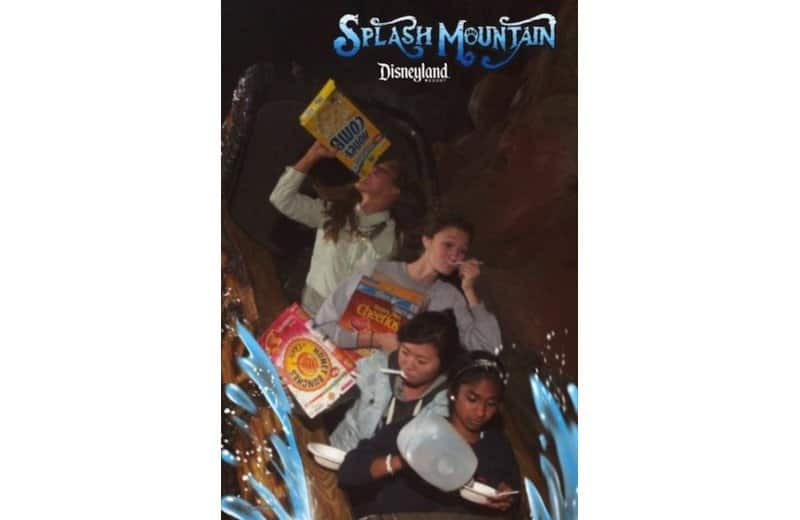 These girls are certainly cereal theme park riders.